ASTANA. 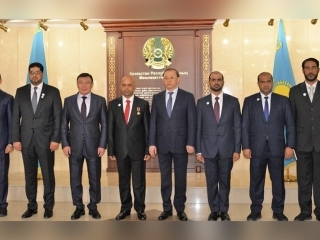 KAZINFORM - Aktau has hosted the 13th session of the Commission on Cooperation between the Senate of the Parliament of the Republic of Kazakhstan and the Federation Council of the Federal Assembly of the Russian Federation. The delegation of Iran also participated in the meeting, the Kazakh Senate's press service informs. 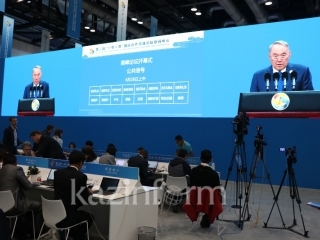 Opening the event, the Deputy Chairman of the Kazakh Senate Sergey Gromov emphasized that Astana highly appreciates the results of the Aktau Summit, where the leaders of the Caspian littoral states signed the Convention on the Legal Status of the Caspian Sea. 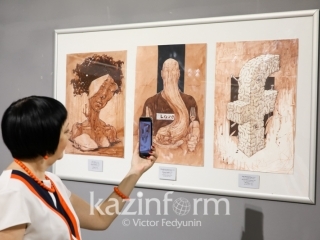 "As President of Kazakhstan Nursultan Nazarbayev pointed out, the Convention is a kind of ‘constitution of the Caspian Sea', which specifies and regulates all rights and obligations of the parties with respect to the reservoir, including its waters, seabed, subsoil, natural resources, and airspace." The document covers a wide range of issues related to the delimitation of jurisdiction and sovereignty, the exercise of rights to subsoil use, transit and transportation, laying of sub-sea pipelines and cables, protection of the natural environment and biological resources. The Kazakh MP hailed the contribution of Russia and Iran to reaching a consensus on the signing of this landmark document. He stressed that the signing of the Convention will make it possible to entrench for the unique reservoir the status of a zone of peace and mutually beneficial cooperation both bilaterally and multilaterally. "Please be informed that on November 6 of this year the package of documents on the ratification of the Convention was considered at a session of the Government of the Republic of Kazakhstan. The Government is expected to submit the draft law on the ratification of the Convention to the Majilis of the Parliament in the near future," Gromov informed. Addressing the meeting, Deputy Chairman of the Committee on Agrarian Food Policy and Environmental Management of the Federal Assembly of the Federation Council of Russia Sergey Belousov and First Deputy Chairman of the Islamic Consultative Assembly of Iran Masoud Pezeshkian underscored the importance of timely ratification of the Convention. 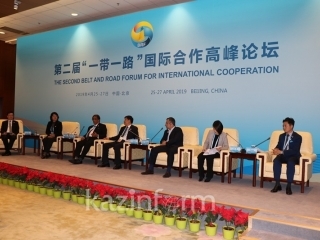 The senators also discussed the development of cross-border cooperation through the example of Mangistau region of the Republic of Kazakhstan and the Republic of Dagestan of the Russian Federation within the framework of the Single Economic Space, the development of cooperation in tourism in the Caspian Sea, as well as in the field of ecology and protection of the Caspian Sea's biological resources. Besides, Sergey Gromov and Masoud Pezeshkian discussed issues of inter-parliamentary cooperation and further strengthening of bilateral relations, including inter-parliamentary dialogue. 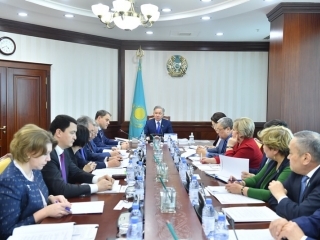 The meeting was also attended by Kazakh senators Zhenis Nurgaliyev, Olga Perepechina, Mikhail Bortnik, Gumar Dyussembayev, and Baktybay Chelpekov.